I put the large brads through the center of each set of flowers. 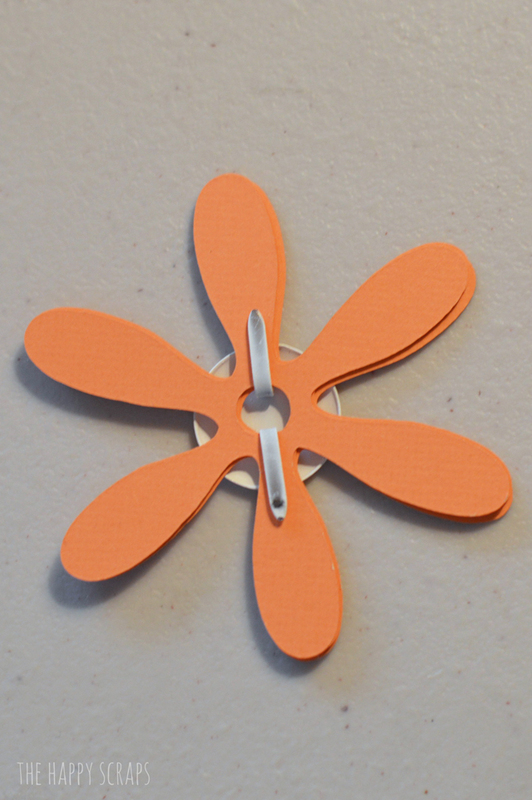 Spread the flower petals out, then tighten the back of the brad to make sure they stay in place. 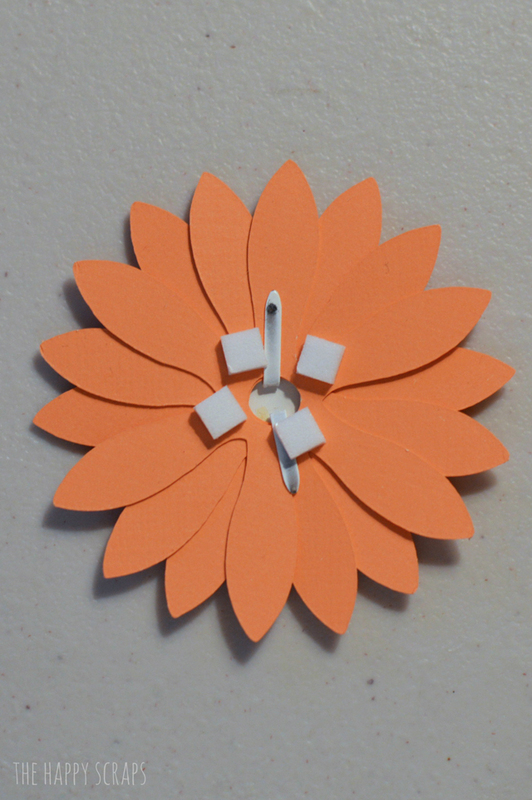 Add dimension squares to the back of the flowers. 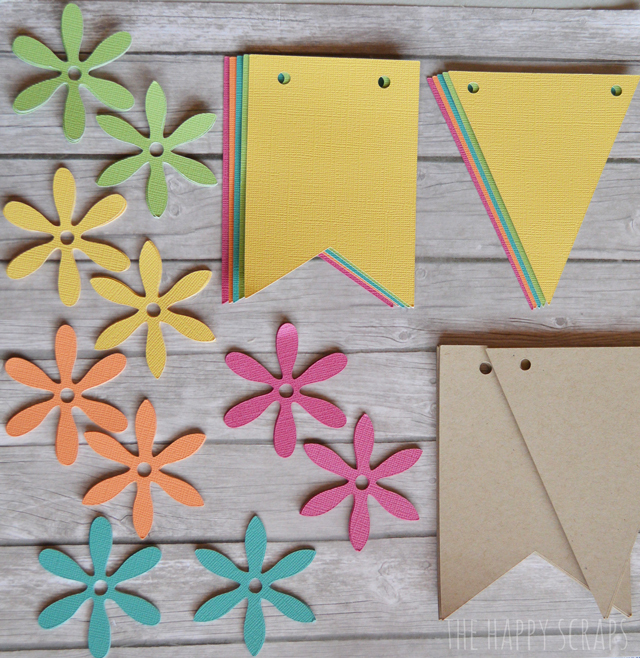 Put your banner pieces together using a little bit of adhesive between the holes. You only need to attach the banner pieces together at the top. 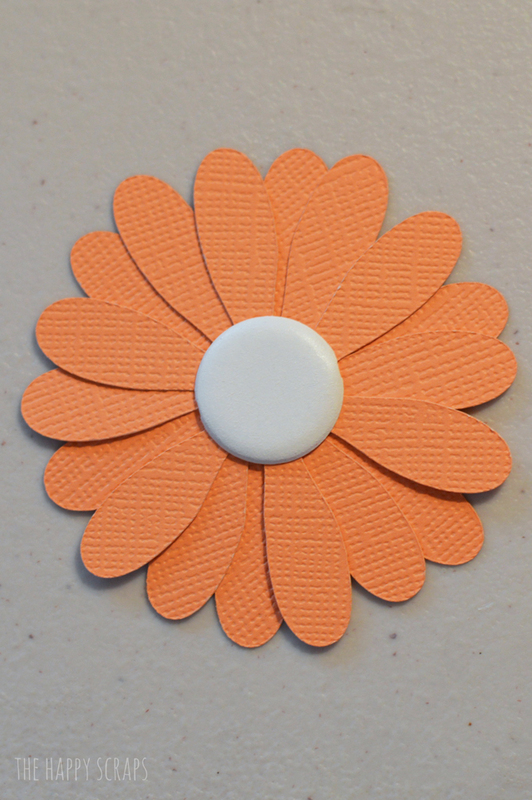 Add the flower. Use your large baker’s twine to lace the banner pieces on to. 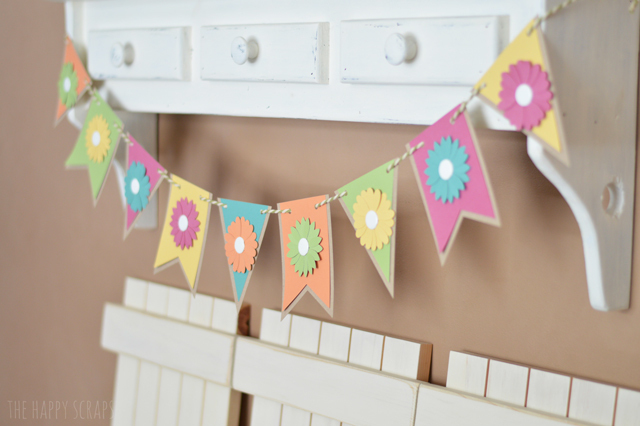 Find a place to hang up your bright, cheerful, colorful banner for Spring! I added mine to my shelf, but this would be cute on a mantel, or just put on the wall as well. 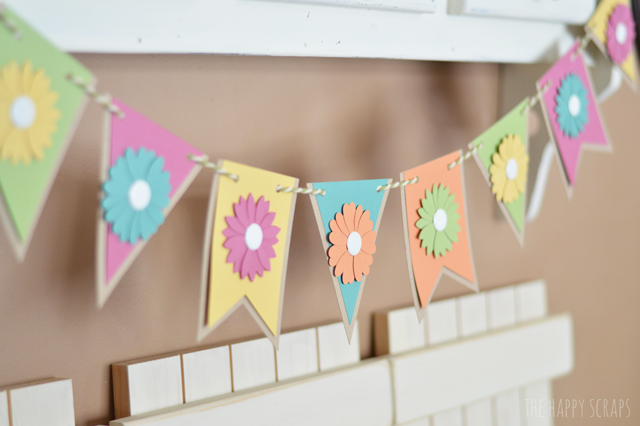 I love how simple this banner was to put together! 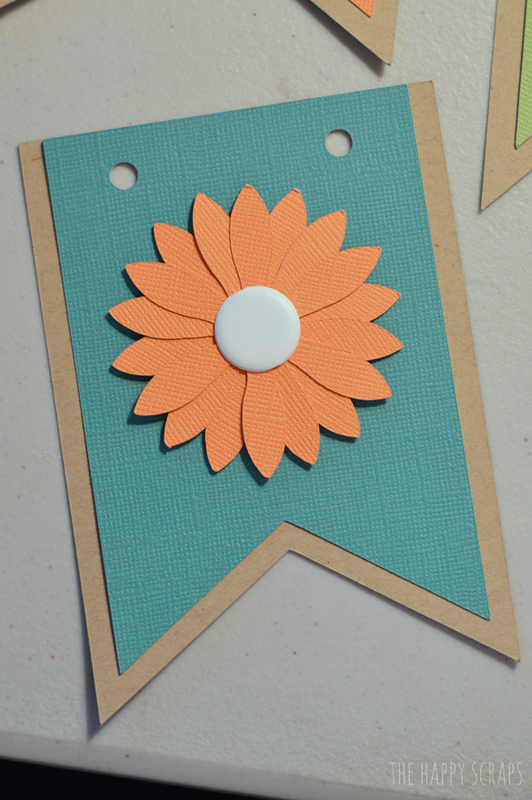 I’m sharing this banner as part of the A-Z Crafting Blog Hop at Crafting in the Rain. See the other fun projects below. Lovely banner ! Perfect to welcome Spring ! Oh I love this! So pretty and colorful. Thanks for sharing this great tutorial. 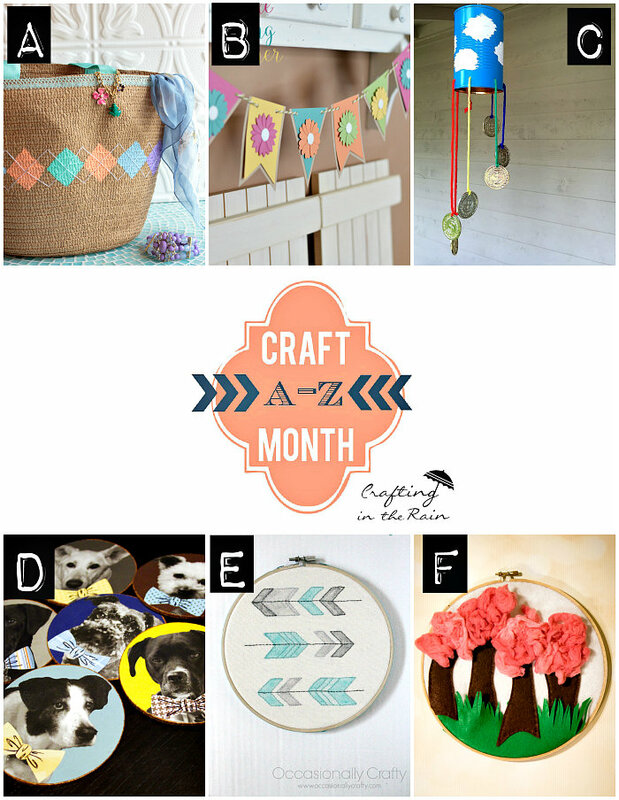 Stopping by from the A-Z craft group and have to tell you this is beautiful! Pinning! 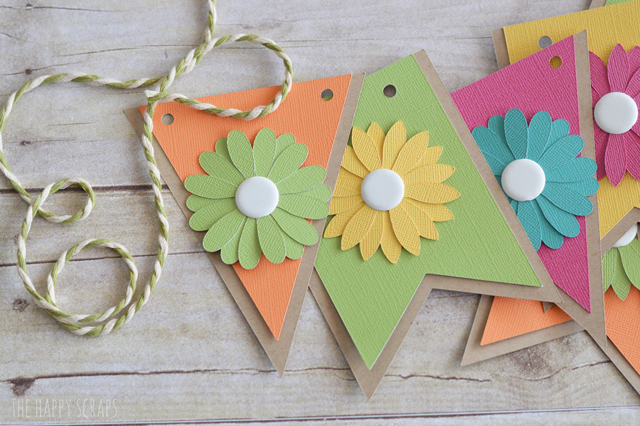 Love this banner for Spring! 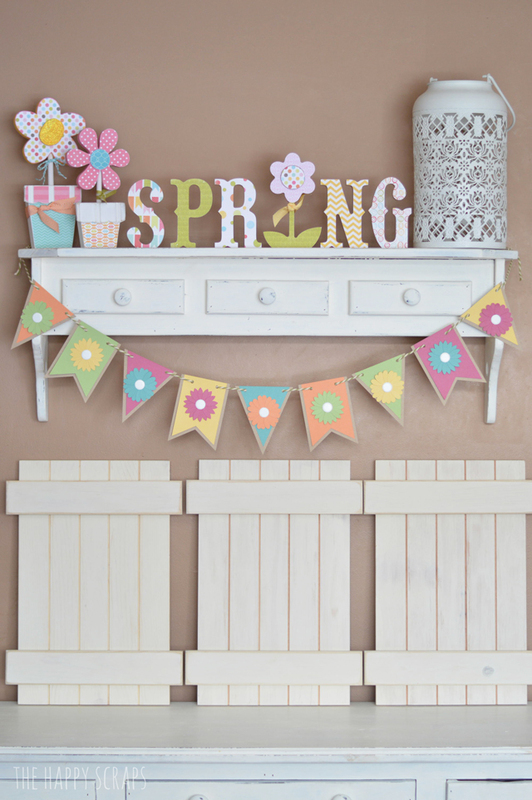 What a cute banner, and it looks so great with the spring sign and flowers. Lovely scene! I’d love for you to come and share your post at my linky party. Love all the layers on this Amy, and the colors are perfect. Great job! So glad you joined the series! 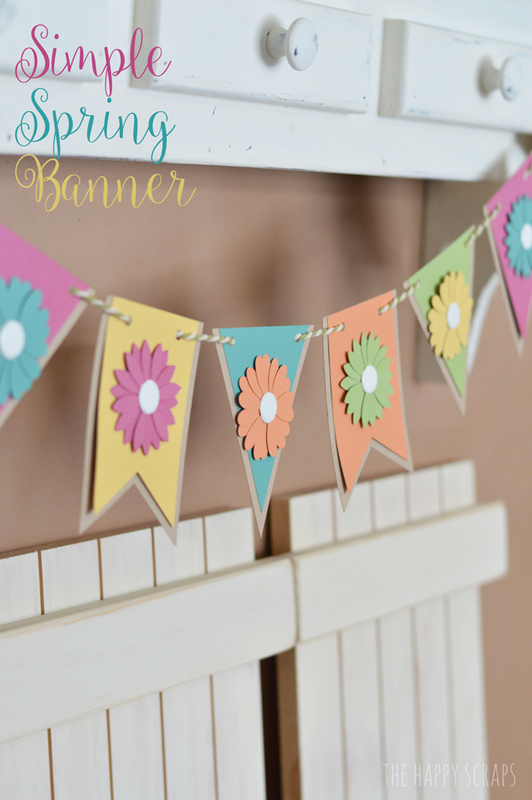 Thanks so much for sharing your beautiful flower Spring Banner – this will be a great idea to share with my friends! This banner is adorable, as always, Amy! Thanks for linking to the Do Tell Tuesday party. I’m not sure of the exact size, but I think each piece is about 4 or 5 inches tall. I’d love to know about the fence pieces, how to make or where you bought them.